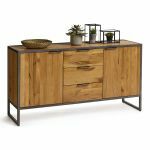 A stylish addition to modern dining or living rooms, this large industrial sideboard from our Brooklyn range is a real statement-making piece. 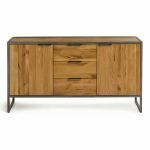 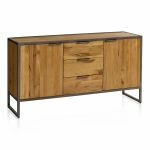 It boasts industrial design inspired by loft living, with a signature aged effect open metal frame, complemented by a sturdy solid oak body. 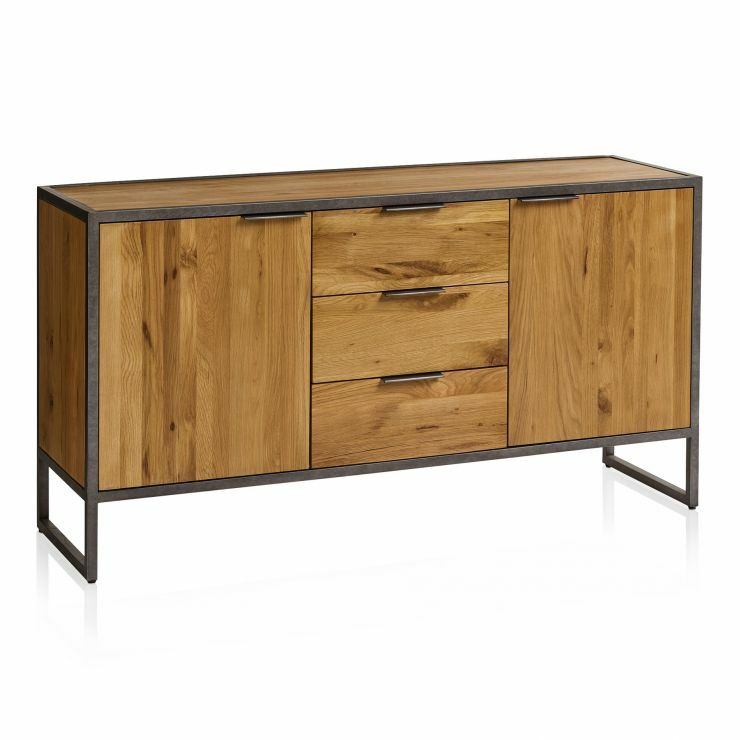 It boasts a large storage area, with three deep drawers flanked by two cupboards. 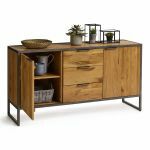 The cupboards each have solid oak shelving within, and the drawers are finished with real dovetail joints and solid oak bases, backs, and runners for fantastic durability. 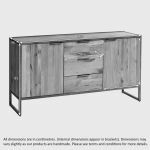 The look in this industrial sideboard is completed with slim metal tab handles that match the frame. 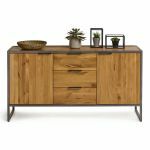 Don't forget to browse the rest of the range to find more Brooklyn pieces for every room in your home.